It doesn’t matter which style of fishing you opt for. Whether you prefer to cast from your boat or while standing on the shores, only the best fishing vest can make your trip more enjoyable. One particular benefit of vests is that they enable you to conveniently stuff all your fishing gear in the pockets. And for that reason, they save you the hassle of having to take your tackle box everywhere you go. So, let’s just say that fishing vests are all about being well organized on the water. And this way, you can spend more time on actual fishing instead of worrying about whether you have all the tools needed for the job or not. With a multitude of options to ponder on, the table below provides a handy run-down meant to help you make an informed bet. Autumn Ridge Traders is perfect for fishing. It is designed with 16 pockets to give you enough space to keep your fishing tackle safe. The pockets are secured with Velcro or zips. The vest is made from 100% polyester and mesh, with the back being mesh and this keeps you cool in hot weather. The Autumn Ridge is lightweight and comes with a comfortable fit for ease of movement. The shoulders are padded to prevent the weight of the fishing tackle from causing fatigue. Another good thing with the vest is that it dries very fast if it gets wet or washed for your convenience. Note: If the vest is to be worn with other layers of clothes, choose a bigger size. Apart from fishing the vest can be used for photography, safaris, hiking, bird watching, and other uses. Master Sportsman vest boasts of style, functionality, and comfort. The vest is manufactured from a blend of polyester and cotton for a comfortable fishing vest. It comes with 26 pockets which is plenty of compartments to keep your fishing items and have them organized well. More so, some of the pockets are large. In addition, it has a fishing rod holder, which comes in use when you need to free your hands to do other things. The vest also has removable fly patches. The vest is machine washable and therefore quite easy to maintain. 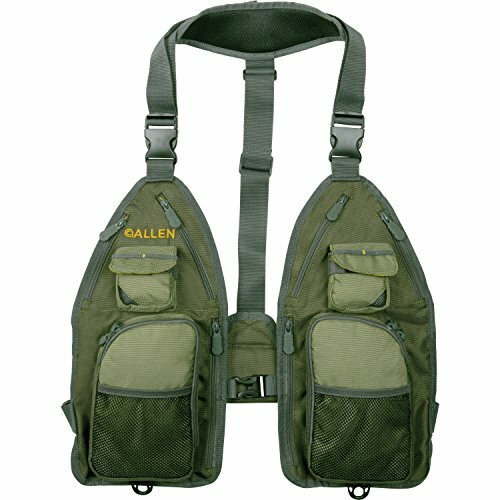 Eidlvais-Fishing vest packs enough good features to make a great fishing attire. The lightweight vest is manufactured from a blend of cotton and polyester for a comfortable fishing wear. It is double stitched on the hem and collar for durability. It is designed with 16 pockets, some of which are zippered for keeping your fishing items. It is both hand washable and machine washable for your convenience. Redington-Clark is made with 35% cotton and 65% polyester for a comfortable and strong vest. The vest's front closes with a buckle and Velcro closure but not a zipper. The vest has 11 pockets for the convenience of keeping your fishing items. The top left pocket is fitted with a D-ring for hooking items. In addition, it has a mesh body to keep you cool when it is hot. Further, the material is fast wicking to keep your body sweat free and moisture free and therefore comfortable. The vest dries quickly when washed or exposed to water when outdoors. 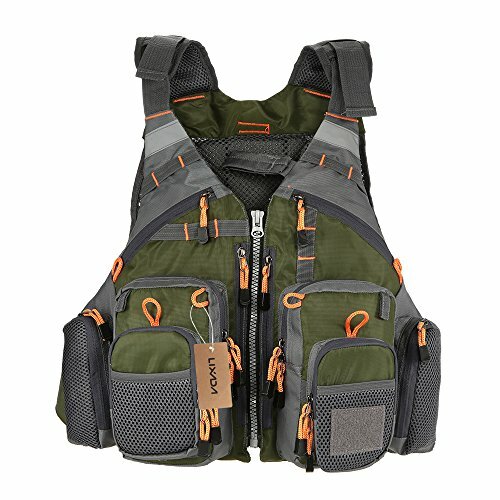 Anglatech-Fly Fishing is a premium vest that boasts many unique features, giving you a good bang for your buck. The vest has an open design, for an easy fit and ideal for hot weather or when you are quite active to keep feeling cool. Also, the vest is padded and comes with plenty of storage including a drink holder and rod holder. In addition, it has two waterproof pockets for keeping your personal items. For a comfortable fit, the vest has straps on the shoulder and waist for adjusting the size. It is also lightweight for a comfortable fit. More so, it has a mesh back to keep you well ventilated and feeling cool. Lusi Madam- Fishing Vest has a lot to offer both beginner and newbie anglers. The vest is made from 65% polyester and 35% cotton, for a lightweight and comfortable outdoor wear. It is designed to fit perfectly, and it does not restrict your body movement. 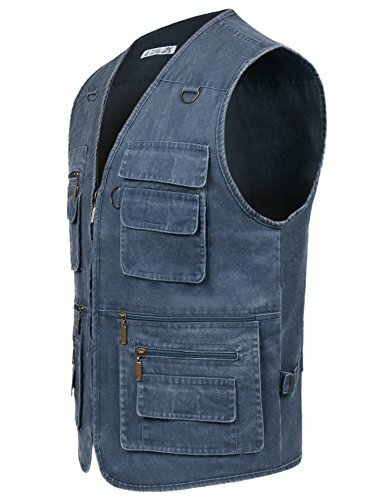 The vest has enough pockets for keeping your fishing stuff. The pockets have zipper or Velcro closures to keep your items well organized and secure. Additionally, the vest is fitted with D-rings for hooking your items. Before placing an order, ensure you get your fitting right by using the charts provided. M Maximumcatch-Maxcatch is a perfect fly fishing vest. The vest boasts functionality and comfort. Though it is expensive, it comes with additional fishing accessories including one fishing forceps, a line nipper, and a fishing zinger. The vest is adjustable and weighs 1.4 lbs to give you a good fit. 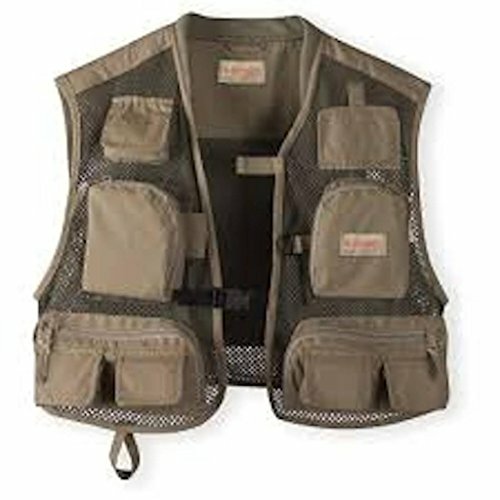 More so, the vest has many pockets for organizing your fishing tackle, including two shell pockets with fly patches. Further, it has a rod holder strap to enable you to free your hands. The vest comes with a meshed back to keep you well ventilated and to reduce the overall weight of the vest on your back. M-Maximumcatch Maxcatch Vest is a quality and affordable fishing vest that combines the features of a backpack and vest in the wear. The manufacturer backs the product with a one-year warranty and a lifetime repairing warranty. The vest is made of lightweight and breathable material and has a meshed back for airflow, keeping you cool. It weighs 24.5oz. 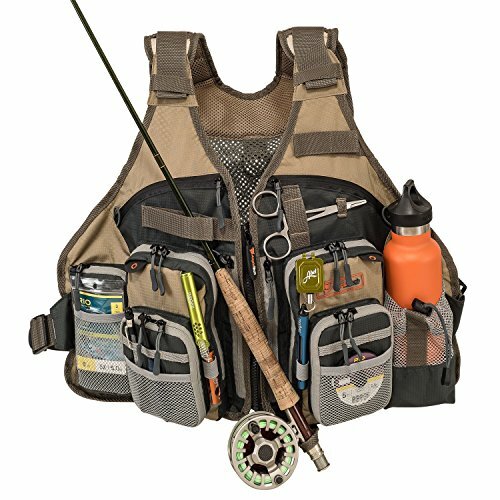 The vest has enough storage options which can accommodate your fly fishing boxes and other tools. Besides, the vest has shoulder and waist straps for adjusting it. 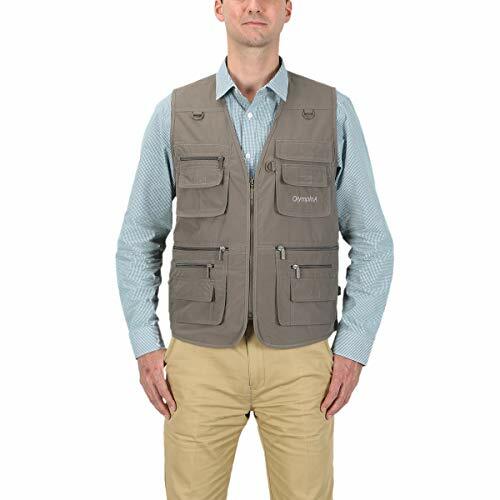 Lixada-Fly Fishing Vest is constructed with durable materials for longevity. 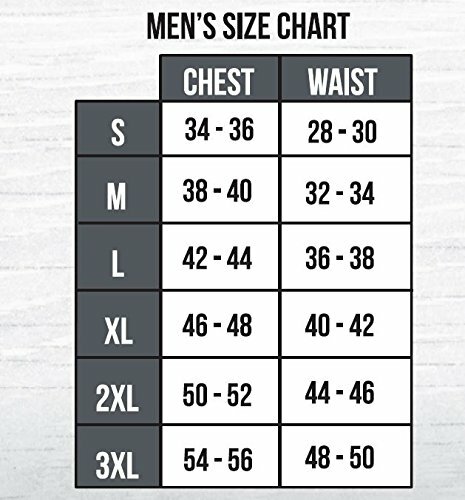 It is a universal size vest fitting persons with less than 209lbs. The vest has a breathable mesh on the inside and also at the back for air flow. Further for ease of movement, the sides of the vest are open. 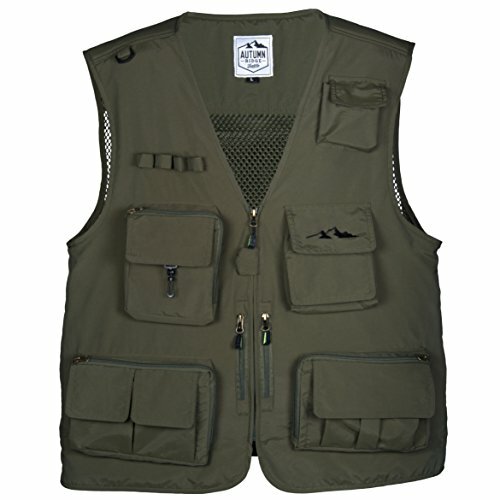 In terms of storage, the vest is fitted with enough pockets to keep your fishing tackle well organized and secure. They include chest pockets, two side mesh pockets, a back pocket, and four front zippered pockets. Allen Company-Gallatin vest makes a perfect fly fishing open jacket. The design is very suitable in warm weather. The inexpensive vest is uniquely designed with an open back for an ultralight vest. It comes only in one adjustable size. The vest has enough pockets to keep your stuff organized and secure. 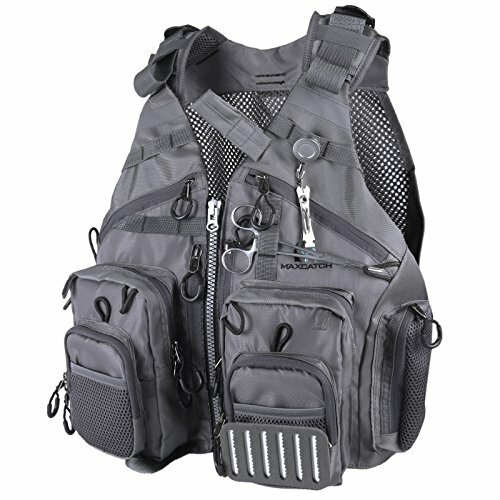 The interior has a large mesh pocket, and the vest has various zip closure front pockets and a D-ring. Though the weight of fishing tackle in the pockets rests at the back of your neck, the area has a padded strap to prevent fatigue. 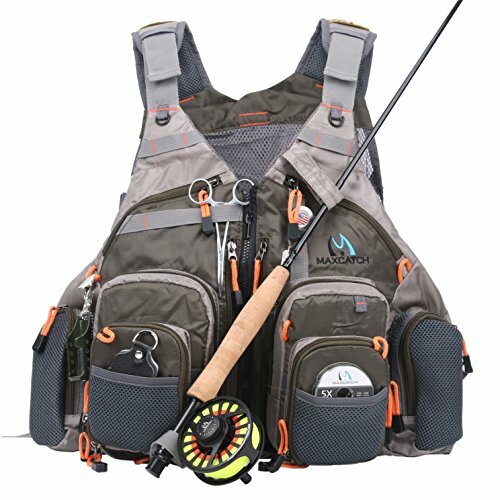 So, what factors should you look into when shopping for a quality fly fishing vest? We’ve made the task easier for you. Here are the factors that you have to keep in mind. One of the reasons why fishing vests are incredibly popular is that they come with lots of pockets. These pockets provide you with the space to keep your tools and tackles. For that reason, always look for vests with lots of pockets. The pockets should also be conveniently located so they’re useful even on water. Wearing an ill-fitting vest for long hours can prove to be one of the most uncomfortable experiences for an angler. For that reason, it’s important to pay close attention to factors related to your body type when ordering. Besides that, try to reflect on the conditions you’re likely to be fishing on. If planning to fish in cold and rainy conditions, you’d need to wear the vest with a raincoat or even two shirts. And that way, you’d need a slightly larger vest. Like other clothing items, fishing vests have a plethora of options in regards to the kind of materials used. For instance, mesh comprises many air holes. As you can imagine, this material is quite breathable but not ideal for extremely cold conditions. In that case, you may want to opt for a non-mesh fly fishing visit. This is typically made from a nonporous material. It may be less breathable but quite warm and, therefore, ideal for cold climates. The well-built Master Sportsman- Fishing Vest 26-Pockets is our top pick. It comes with ample storage and is neither too light nor too heavy. It also features front-placed pockets which are meant to be easy to use at all times. On top of that, it is sturdy and, therefore, ideal for long-term use. Best of all, the vest is lined in mesh for enhanced breathability and all-day use convenience. That’s why we generally feel that it gives a pretty good value for your money. 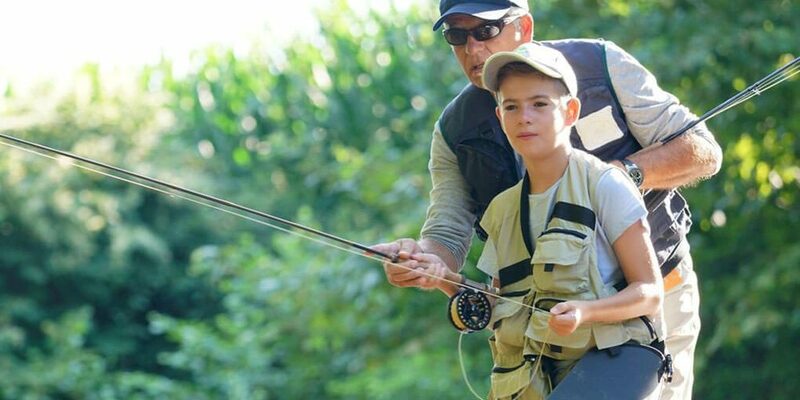 There’s no doubt that a fishing vest is an important part of making your fishing trip more enjoyable. It presents you with hands-free mobility helping you improve your fishing. Most importantly, by investing in the best quality one, you can always focus more on bringing a bigger catch home.